Being centered means being balanced within. Being grounded means being fully present in the body. Both create a beneficial foundation for daily life. A Reiki treatment session can be very grounding and centering. Clients who come in for a Reiki treatment session sometimes feel frazzled or stressed out and they have a hard time focusing on any one thing. They say they feel scattered or nervous and their attention flits from one thing to the next. Sometimes they say that they feel “hyper”. Many clients come out of a Reiki treatment session feeling fully in their bodies, as if they are more balanced and somehow anchored to the earth. And although they feel more anchored, they also feel more connected to Source or Higher Power. So, being grounded doesn’t mean the connection to Source is interrupted. If anything, many have experienced a deeper connection to their Higher Power when they have been fully centered and grounded or fully present. The first thing I teach in my Reiki training classes is that in order to give Reiki, we first need to be in a state of being grounded and centered. In this way, we can be a steady vessel for the Universal energy to flow through us as we give the Reiki. We plant our feet on the ground, shoulder-width apart to provide a steady foundation; and although we ask our egos to step aside, we’re solidly in the present moment, being the vessel for the energy to flow fully through us. As Reiki practitioners, if we are feeling nervous or not centered, it might be a little challenging, at the beginning of a Reiki session, to give the Reiki. However, if we’ve had an off-day and feel a little rushed or jittery, just the act of giving Reiki can be very grounding for us as practitioners because the flow of Source’s energy has a calming effect. As the session continues, practitioners usually settle in and become more grounded and calm. 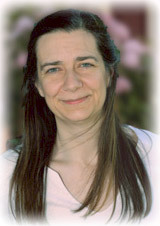 Ideally, a practitioner gives Reiki from an already calm state which just deepens as the Reiki session continues. Find a quiet place to just sit and breathe naturally. Notice the short, subtle pauses between each breath, and at each pause, allow yourself to relax more deeply into your body. Lie spread-eagle on the grass (in your private backyard). If the weather is nice, stand barefoot in the grass in the early morning dew. Visualize energy flowing through your body from head to toe and out from the soles of your feet, connecting that energy deep into the earth like roots of a tree wrapping around the beautiful colored crystals deep in the earth. Sitting in a chair, bend forward and place your palms on the top of your feet, visualizing energy running through your body from your head to your feet and into the earth. Feel the earth’s nurturing energy. While seated in a quiet area or room, place your bare feet on a special stone or rock you’ve chosen for yourself—any stone or rock that feels like it might be helpful to you for grounding your energy. Take a deep breath and as you exhale, visualize and intend for your energy to move all the way down your torso, legs and feet, into the earth. While seated, place your palms on your knees and feel the energy flowing down your legs and feet into the earth. Say a short affirmation out loud, such as: “I am centered, healthy, and whole.” Take a deep cleansing breath, and as you exhale, visualize the energy flowing down your body, legs and feet, into the earth. There are many techniques to find your center again. You can combine a couple of different ways or create your own! When Should You Do a Grounding Technique? Any time we begin to feel nervous or stressed, we can try to take a moment to get centered again. Many people take a few minutes of down-time throughout the day to do centering and grounding techniques. Then when they return to their tasks, they feel calmer and refreshed. Some people use a bathroom break for centering or a lunch break or coffee break. Some people go sit in their cars and get grounded. Other options are when you wake up in the morning or before sleep at night. If you can’t take a break, try to consciously slow your movements down, even a little. For some, slowing down has helped them to stay present and to bring back the sense of calm and inner balance. Throughout my life, I’ve enjoyed observing others to see what they do in certain situations. I remember at age thirteen, at a sleepover, I was having trouble falling asleep. I was wide awake while my friend in her sleeping bag across from me, sounded more and more tired. Finally she said, “Yvonne, you’re moving too fast. Slow down.” So I did. And . . . I fell asleep! Feel free to ask your friends what ways they use to find their center and get grounded, and share your ideas. Take some time each day to center and ground yourself in your own way, and see if it helps your daily tasks and improves your sense of well-being. Stay grounded in this holiday season; and in-between holiday parties and events, give yourself some good “centering time”. Better yet, begin and end your holiday party with a short group grounding meditation! Many Reiki Holiday Blessings from Reiki Sanctuary of Northern Virginia!